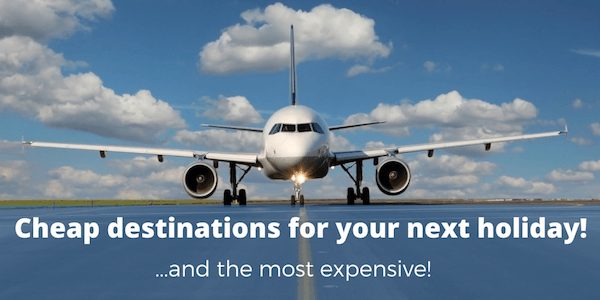 Current: Cheap destinations for your holiday – and the most expensive! Cheap destinations for your holiday – and the most expensive! Holidays! Stunning destinations, a warm pool, hotel staff waiting on your every desire… That’s the dream, but realistically your wallet is groaning at the thought of it. It doesn’t have to be that way – there may be many locations that jump to mind when you think of certain types of holiday, but whether it’s a long weekend with the lads, a romantic getaway with your significant other or a city break, there are plenty of options that won’t leave you too out of pocket. We’ve looked at costs in locations around the world to bring you some awesome suggestions to save you money for your next holiday – no matter what you want to be doing! If you book in advance you can get some pretty cheap flights to Nuremberg, Germany for the whole family and they fly from a variety of London airports. When we looked you could book flights for a family of 4 for between £350-500 for a week in July! The cost of living there is pretty good too, with an inexpensive meal costing around €10 per person. There’s also loads of activities for the whole family to get involved in including the one and only Playmobil Fun Park, which is a must if your children love to play with Playmobil sets! You can visit the Kaiserburg Castle for a bit of culture and there are plenty of museums that the kids will enjoy, as well as the Nuremberg Zoo for those animal-lovers! Croatia is a real gem for those looking for a great family getaway on a budget. The overall cost of living is pretty low with an inexpensive meal costing around £4! It’s also “out of the ordinary” without being too far away, with flights normally taking around 2.5 hours. Zagreb offers culture, architecture and mild temperatures of mid-to-high twenties in the Summer! There are plenty of museums for everyone to enjoy and several children’s theatres too. Check out Bistro Karlo for a great family restaurant experience. Another destination that is well within a three hour flight is Lisbon, Portugal. This is a great place for everyone to enjoy as it has lovely Summer temperatures (around the mid-twenties), it’s close to the beach, but there’s also great things to do in the centre for the kids such as the Castle and the Expo Park (full of outdoors activities for the youngsters!). It’s pretty reasonable too, with your average inexpensive meal out costing around €7 per person, and a beer with it costing €0.50 (that one’s for the parents, not the kids!). Your first holiday abroad? Or looking for something a little different to explore with your friends? On a budget and looking for a cheap holiday? Don’t worry, there are plenty of places you can go to without breaking the bank. A city boasting museums, castles, architectural wonders, as well as great nightlife! You will find beer is cheap (pick it up for around 39p per 0.5 litre of beer in the local supermarket!) and also delicious. There are also plenty of bars and clubs to choose from – from U Buldoka pub for a drink or two, to M1 Lounge to dance the night away! After some cheap but lovely beer to start off your evening? Germany is well-known for its beer (Oktoberfest, anyone? ), and you can pick up a nice domestic beer at the supermarket in Leipzig for around 38p for half a litre. Leipzig is also home to one of Germany’s best known restaurants, Auerbachs Keller, so book yourself in to enjoy some good food! If you’re heading out around Christmas time there is a fabulous Christmas Market held in Market Square, although this atmospheric older part of the area is worth a visit anytime of year. Of course you will also find a huge range of bars and clubs, from music bars to cocktail bars, so you will be able to pick something for everyone to enjoy. The capital of Bulgaria has lots to offer at reasonable prices. July temperatures tend to reach the high-twenties so you can enjoy the weather during the day and the large choice of nightlife in the evening. If you are a bit of a foodie there are plenty of restaurants serving up delicious traditional dishes featuring lots of cheese and stuffed vegetables! 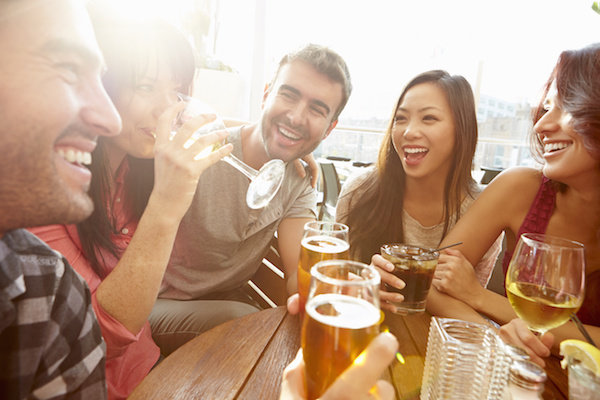 You can then head out for a few drinks at a bar such as Swinging Hall, or move on to one of the many clubs. There are few licensing laws in Sofia so you will find alcohol being served late (or early)! A trip away for you and your loved one is always going to include a couple of nice meals out, so we looked at some lovely locations that won’t cost the Earth to go out for a meal for two at a reasonable restaurant. 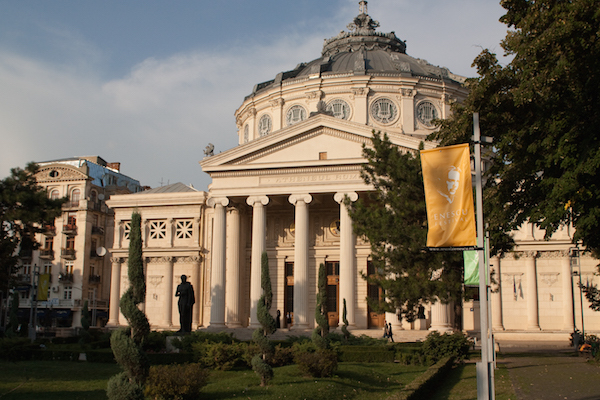 In just over 3 hours you can arrive in Bucharest, Romania, where you can take a leisurely walking tour of the capital, enjoy some beautiful parks and wonderful buildings. A 3 course meal for you both will cost an average of around £16, which means eating out is very affordable. More reasons to explore the range of restaurants on offer, or perhaps take part in a walking brewery tour! Back in Croatia a three-course meal for 2 will cost around £19, which still won’t really break the bank! For tasty, fresh seafood head to Konoba Matejuska – you will want to book a table as it fills up fast. Galerija Food in the old town is also highly recommended for freshly cooked, delicious food. Not just a fascinating city, Split has glorious beaches for a relaxing time away, and is also a short boat ride from many beautiful islands with clean, tidy beaches. We are back in Prague, where a three-course meal out for two at a mid-range restaurant will set you back £16.31, fairly unimaginable compared to UK prices! Prague Castle is a must-see – take some comfortable shoes and allocate a good chunk of time to wander around the beautiful architecture and take in the views. 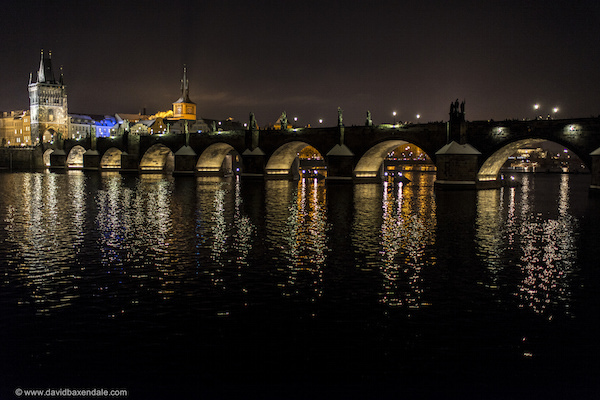 As night falls, take a stroll across the famous Baroque masterpiece that is Charles Bridge, before retiring to your restaurant of choice (of which there are plenty!). Who doesn’t love a city break? Lots of eating, walking, sightseeing and photo taking. To decide on our inexpensive destinations we set an average “basic” daily rate, which includes a reasonable meal (most likely brunch, you are on holiday after all! ), a couple of trips on the local transport, a meal for two in the evening and a bottle of wine. 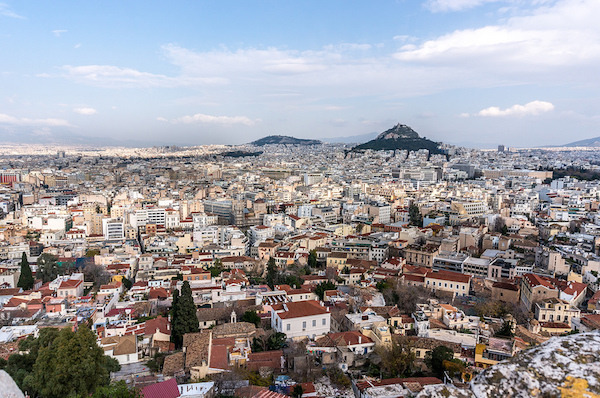 Athens might be towards the top of our budget for a cheap city break but we thought it was worth including for the stunning culture and scenery that you can experience. Reawaken the Greek history buff in you by taking a trip to Acropolis to see the famous Parthenon, or wander the streets to take in the local culture. If you fancy a bit of a challenge, take a hike (or a funicular!) up Mount Lycabettus, where you will be treated to far-reaching views of Athens and beyond. There’s even a café and an amphitheatre! The most affordable of our choices, you can get a lot done on a budget here! There’s a great variety of things to do during a city break to Warsaw – check out the Multimedia Fountain Park for a wonderful show of fountains and music, or head to the more educational Science Museum or Planetarium. Warsaw has some great eateries – check out Warburger for the best burgers in town and at a reasonable price too (around 20 Zloty)! This town may sound unfamiliar, but as the 4th largest in Slovakia, it certainly has lots to offer. Head to the Mlyny shopping mall for popular Slovak stores alongside popular high street chains, a multi purpose gym and even Go-Karting on the roof! For something a bit different, check out PanIQ Room and spend 60 adrenalin filled minutes trying to escape from the purpose built room! Round off the day with a trip to Devils Pub for cheap drinks, great music and the best kebab from the deli next door when you leave! So now you have all of our recommendations on where you can escape for an affordable holiday, where to avoid?? Switzerland has one of the highest costs of living, and you will be paying around £17 just for a relatively cheap meal and nearly £3 just for a bottle of water! Grand Prix and the super-rich, it’s no surprise the cost of living is so high here. If you want to head out to a mid-range restaurant for a meal for two, look to budget around £75. Ouch! A beautiful city and a popular location during the run up to Christmas for its famed Christmas markets, but be careful of spending too much! It might not be quite as expensive as Zurich or Monaco but be prepared, that beer when you’re out to eat could cost you around £4.50!